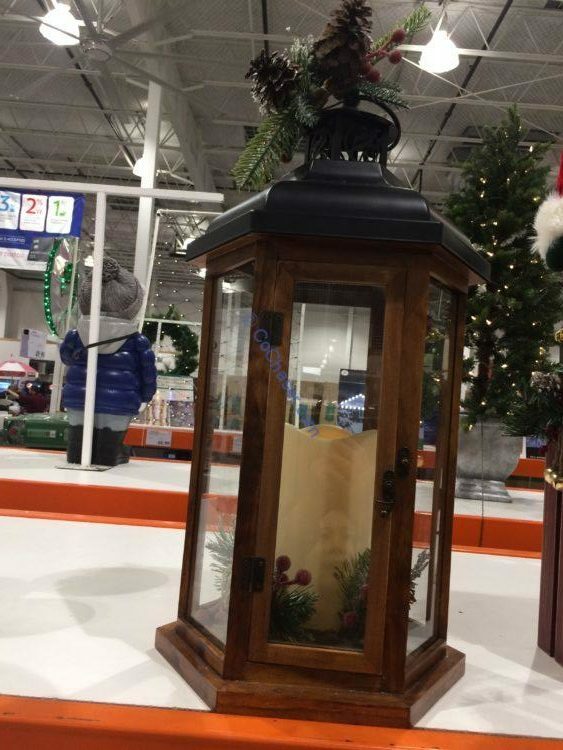 This is a beautiful lantern year-round. It is a great Christmas décor piece with removable festive greenery. Great for the holidays or display year round. With the plastic LED candle, this Lantern looks like a real wax candle. It has a soft flickering effect that helps create a warm glow.